If you want an example on the JSE of the shift in political mood, Bidvest, among others, fits the bill. The stock price has been almost parabolic since December and up a third in the past quarter. Nothing fundamental has changed, business conditions remain tough for a Group that is almost entirely South Africa dependent. But the market has reacted with exuberance on domestic-facing counters, pricing in an upgrade on a yet to be proven economic renaissance. 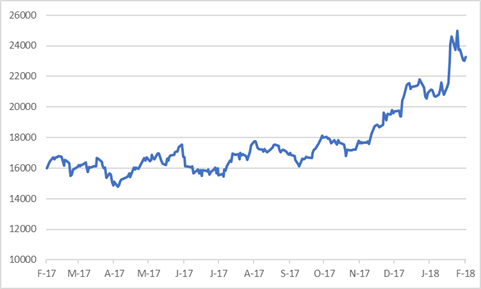 The stock wasn’t bad value at around R170 but R231 or higher is difficult to swallow, not least with a high PE ratio and modest dividend yield. The stock has never been this pricey, even when Brian Joffe was running the Group. 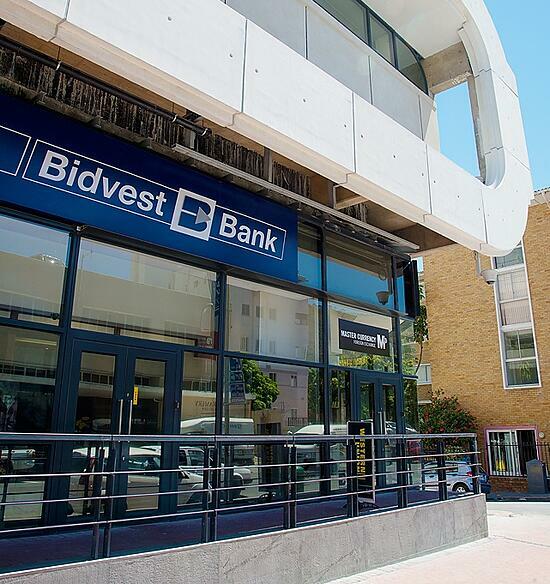 Bidvest aspires to borrow and grow offshore, but time will tell how that pays off. On a DCF valuation methodology, I derive fair value of R170 per share. To quote Warren Buffet, “price is what you pay, value is what you get”. Bidvest has very good businesses, but the share does not offer value. Trading Sell and Portfolio Sell. I have updated my earnings estimates on Bidvest. The outlook for revenue growth is at best tepid but management on-the-ground is proven and hardened to difficult times so earnings per share should keep growing. The question is, what price do you want to pay for that? Consensus sell-side earnings forecasts have edged up of late, as have target prices on Bidvest, some considerably so and catching up with the share price performance. The market has reacted with exuberance on domestic-facing counters, pricing in an upgrade on a yet to be proven economic renaissance. There are insubstantial grounds to re-rate a number of industrials, let alone assume earnings are somehow going to be better. Bidvest today excludes the unbundled foodservice assets, which now reside in Bidcorp and which generate 90% of their revenue external to South Africa. Bidvest, by contrast, has an overwhelmingly South African asset base. The Bidvest portfolio of assets includes soft services, such as Steiner, freight services, in which Bidvest is the leading private sector provider, automotive retail, with McCarthy a household name, commercial products, which encompasses industrial-linked goods and services, financial services, including Bidvest Bank, asset backed leasing, and insurance, and the electrical products business, which incorporates Voltex. Given the breadth of Bidvest’s operations, growth is likely to track in line or just ahead of nominal GDP growth in South Africa. The Group has large market shares in many of the areas it operates in and so incremental growth has to be a function of bolt-ons or meaningful acquisitions. The scope for increasing the trading margin materially above 8,5% is slim. Bidvest flagged last year it could spend $1 billion or R12 billion at current exchange rates on international acquisitions. That is a stretch off an equity base of R22 billion but doable. Foreign acquisitions need to be funded largely with offshore debt, raised against a foreign asset, and backed by the cash flows from that asset. That was the case with Noonan, which cost €175 million in enterprise value, including debt in the acquired company. At the time, I estimated EBITDA of €17 million which meant that on an enterprise value of €175 million the EBITDA multiple was 10,3x. Following the acquisition of Noonan, I estimate pro forma net debt at R8 billon or 34% of equity. We’ll know the exact number when the company reports interim earnings on 26 February. EBITDA interest cover is likely to be in the region of 7x so there is borrowing headroom. An EBITDA interest cover ratio of 5x would not be unreasonable. If I assume Bidvest can borrow in Europe or Britain or the US at 4% then spending $1 billion would attract interest of $40 million a year. If I apply a 5x interest cover ratio to overseas assets, that suggests profits of $200 million or R2,4 billion could theoretically be acquired. However, in reality, as per the Noonan example, Bidvest would likely pay a 10x EBITDA multiple for acquired assets overseas. This means that $1 billion buys you $100 million of EBITDA. But that implies an EBITDA interest cover on the acquired assets of 2,5x, which is the ratio of EBITDA to interest on the €175 million in debt raised for the Noonan acquisition. 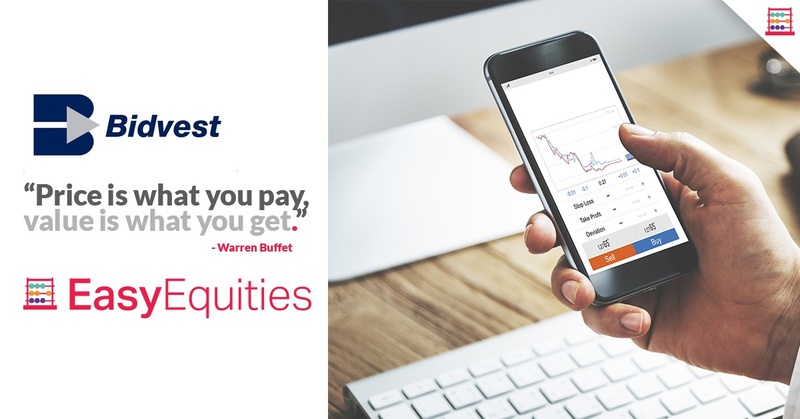 Bidvest of course can leverage its considerable assets and balance sheet to bulk up through borrowings and spread the interest cover ratio across its multiple subsidiaries. But this would need to be done in a measured way over time so as to retain healthy gearing and interest cover metrics. Caution is also required in the targets selected as few South African companies have expanded abroad with meaningful success. Ironically, it is Bidcorp, once part of Bidvest, that has achieved one of the best track records, with bolt-ons earnings and valuation accretive. 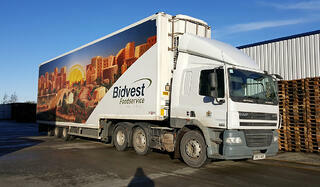 Bidvest, in isolation, will need to earn its own track record. With Bidvest at R231,13 per share at the time of valuation, the forward PE to June 2018 is 18,5x whilst the gross dividend yield is 2,4% or 1,9% net of withholding tax. Because compound growth is modest, the price-earnings-to-growth ratio is 2,3x, not cheap. Keeping an eye on where stocks are rated is important. The performance of a stock, up or down, that is included in Satrix or an ETF is also reflected in the performance you experience in your index tracker, which may be passive but not without risk or subject to underperformance at times and reflective of the constituents. Bidvest is 2,2% of the Satrix INDI so is relatively small but Naspers and Richemont are 53,8% combined, which explains why the Satrix INDI is down 15% since the high in November. The stock wasn’t bad value at around R170 but R231 or higher is difficult to swallow, not least with a high PE ratio and thin dividend yield. The stock has never been this pricey, even when Brian Joffe was running the Group. Moreover, the business backdrop has deteriorated. Foreign investors own 55% of the shares but this is no substantiation for South Africans to want to deploy fresh money at these levels. Momentum upward works in reverse too if the tide turns. We have seen a similar phenomenon in retail. I observed in my recent note on Mr Price (see “Mispriced”) “whilst the South African retail sector trades at a discount to some other emerging market retailers, that is an insufficient reason for the local rating to be elevated give that growth drivers are palpably absent”. Quality assets and quality operational management means Bidvest will typically command a good rating. However, the stock is expensive for a company growing underlying earnings in line or just ahead of nominal GDP and with an overseas expansion strategy unproven. On a DCF valuation methodology, I derive fair value of R170 per share. This has not changed much from levels I had a few months ago. Meaningful corporate activity could change the valuation dynamics but there is nothing historical nor on the horizon to warrant this. Trading Sell and Portfolio Sell. Check out Holding the Line by Mark Ingham.